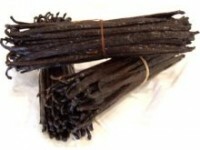 CHOOSING: Because making an extract from vanilla beans is expensive, exacting work, vanilla extracts vary widely. Price is frequently an indicator of quality. The best extracts are remarkably different from average ones, as pure extracts are from imitation (or “doctored” pure) ones. STORING: A cool, dark place for up to a year.